All focused on department areas of expertise courses may not be counted for graduation credits requirement. （1） Foreign students must take Chinese placement test and enroll Chinese course based on results announced by Department of Chinese Literature. （2） The Development of Civilization course and Visions of Citizens course will focus on foreign students and taught in English. 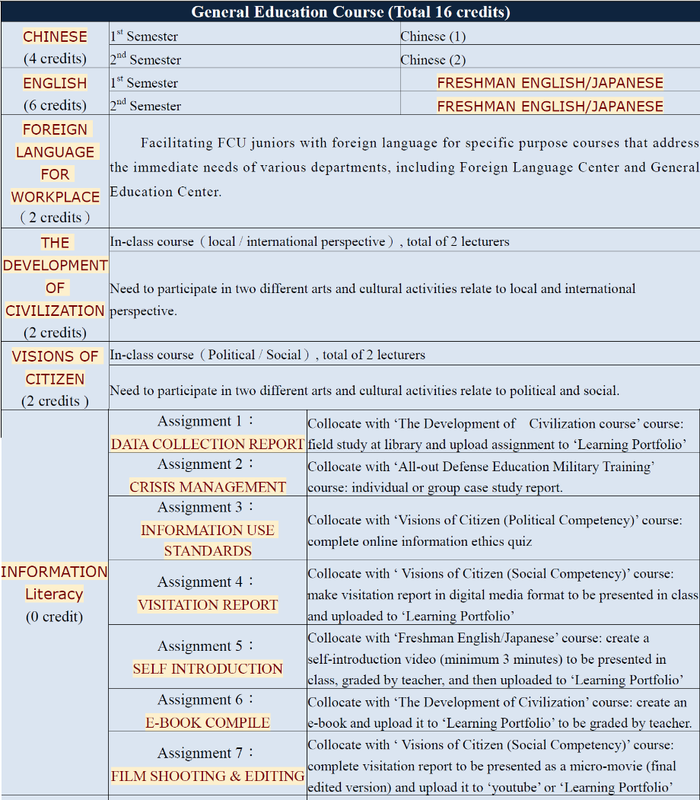 （3） Foreign language course regulations are according to Freshman English / Japanese curriculum, Sophomore English / Japanese curriculum, and Applied Foreign Languages curriculum. （4） Providing Chinese language based GE course for foreign students which could enhance their Chinese language skills at the same time. 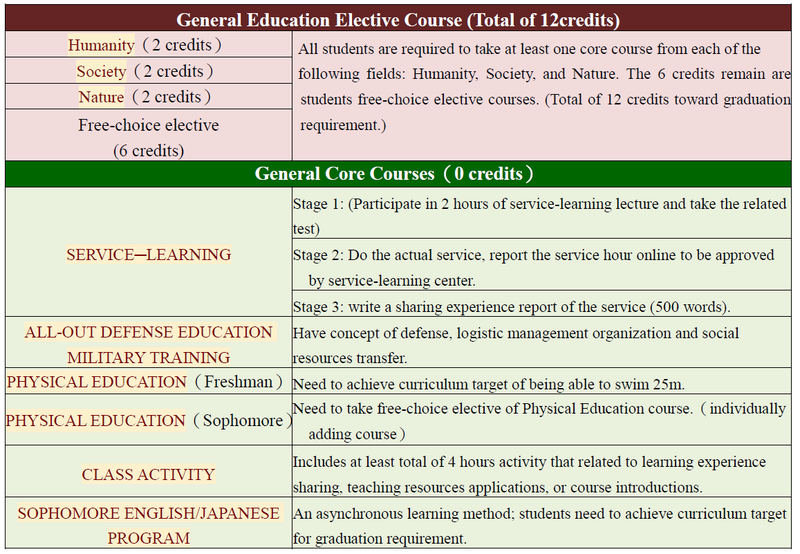 （5） Students enrolled in dual degree program should take GE course that meet both schools agreement. （6） Students enrolled in all-English lecture program still need to take Chinese course taught in Chinese.